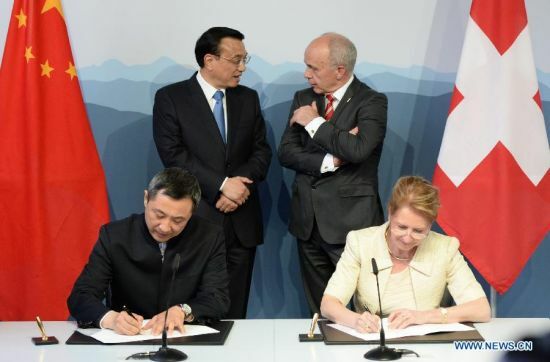 China and Switzerland signed a bilateral free trade agreement on Friday, marking the first such agreement between China and a Western country. Trade flows between the two countries currently account for about $26 billion a year, mostly in watches, medicines, textiles, and dairy products. The new agreement adds fuel to the discussion about the relative importance of multilateral versus bilateral trade agreements. When the World Trade Organization came into being in 1995, there was much celebration of its role in reducing global trade barriers. Now, almost 20 years later, the organization seems stuck in the past. It’s been unable to make progress on key issues like agricultural subsidies, and has not successfully concluded a round to talks since it was established…this despite promises to do so in Seattle (1999), Doha (2001), Cancún (2003), Geneva (2004), Paris (2005), Potsdam (2007), and so on. In the wake of its failure, countries seem more inclined to pursue regional and bilateral trade agreements instead. The advantage of multilateral agreements is that they encourage the establishment of a more equal playing field and generally achieve a wider scope of liberalization. 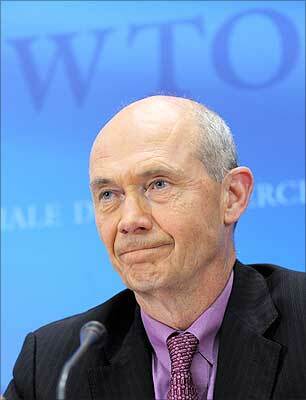 But they are difficult to successfully conclude, as the track record of the WTO suggests. Bilateral agreements, by contrast, permit countries to reach agreements and make progress on liberalizing international trade. But they are not without their critics. Interestingly, Clinton called in the speech not for a return to the World Trade Organization or global negotiations, but to regional agreements like the Trans-Pacific Partnership. More radical critiques of bilateral trade deals focus on the potential inequality between negotiating partners. According to its critics, the US Trade and Development Act (previously known as the African Growth and Opportunities Act, AGOA) was essentially a series of bilateral agreements between the United States and a number of developing countries across Africa that forced African countries to agree to develop stricter intellectual property systems than would otherwise have been required under the WTO agreement—and to refrain from criticizing US foreign policy—in exchange for lower tariffs on textile exports to the United States. By wielding its bilateral muscle, the United States was able to garner greater concessions from its trading partners than it might have been able to in a multilateral negotiation. But as a result of the (ongoing) failure of the WTO, it seems likely that such bilateral and regional agreements are the wave of the future. What do you think? Are multilateral trade agreements preferable to bilateral agreements? Take the poll or leave a comment below and let us know what you think. 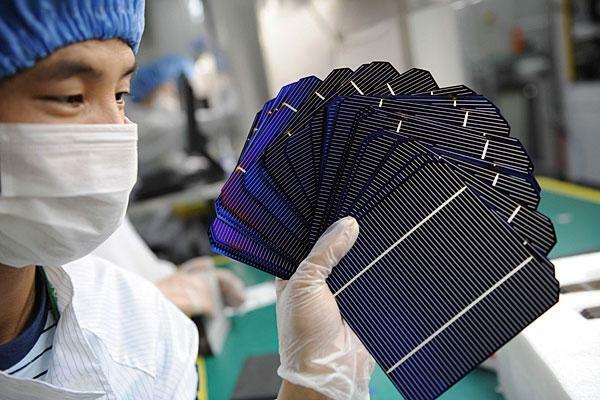 Solar Panel Production: One of the areas China has been accused of engaging in development-through-copying. Development has long been an elusive challenge. Despite more than sixty years of theorizing, debating, modeling, and discussing, I think a compelling case can be made that we really still don’t understand how and why development takes place. Sure, we understand the basics: corruption is generally bad, loans and foreign investment are insufficient, and so on. But there’s much, much more that we don’t really understand: How are democracy and development related? Is there a resource curse? What are the necessary conditions for economic growth? And so on. Blattman then goes on to deconstruct this narrative, noting that “there is nothing dark or nefarious here [just] good hold fashioned industrial policy at work.” He notes that the story of Chinese development-through-copying echoes previous patterns of development, including Europe in the 19th century, Japan after the Meiji Restoration, and the Asian Tigers in the 20th century. There have been political tensions between nations whose role as producers of intellectual property allowed them greater access to such products, and nations that imported technology products, and had only limited access to them. When the United States was still a relatively young and developing country, for example, it refused to respect international intellectual property rights on the grounds that it was freely entitled to foreign works to further its social and economic development. Ironically, however, today weak IP protection is often cited as a significant barrier to technology transfer. Further complicating the situation, the development of a uniform system of intellectual property protections deployed globally through the World Trade Organization also serves to preclude this avenue of development-through-copying. In international trade law, dumping is defined as selling goods below the cost of production plus transportation and handling. Under World Trade Organization rules, dumping is illegal. But countries continue to engage in the process, as demonstrated by the large number of cases involving accusations of dumping heard by the WTO’s dispute resolution panels. Perhaps the most high-profile dispute in recent years has been the dispute between Brazil and the United States over U.S. cotton subsidies. Brazil contends (and the WTO panels have upheld twice, first in 2005 and again in 2008) that U.S. cotton subsidies are illegal under WTO rules because the sale of such subsidized cotton represents dumping. The cotton dispute is one of the key sticking points in current Doha Round of WTO talks, as a number of developing countries, including Brazil, have demanded the elimination of U.S. cotton subsidies which depress global cotton prices. 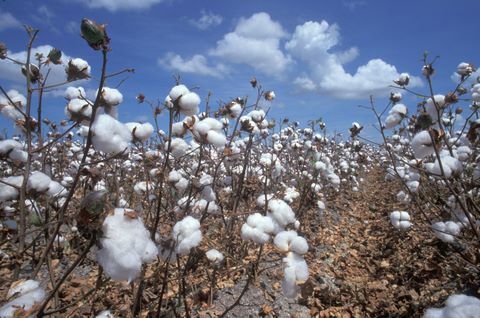 According to a report prepared by the International Centre for Trade and Sustainable Development, global cotton prices would be 6 percent higher absent U.S. subsidies. This represents a significant increase in the livelihoods of poor cotton producers in the global south. Mexico certainly serves as a warning to developing countries considering agricultural trade liberalization. The case also highlights the weakness of international rules for defining and disciplining agricultural dumping. That weakness, and the vulnerability of developing-country farmers to import surges, makes all the more reasonable developing-country demands in the stalled Doha Round negotiations for strong Special Product measures to protect key food crops and effective Special Safeguard Measures to protect against import surges. Until agricultural dumping can be disciplined effectively, developing countries must retain the policy space to defend themselves. Mexico gave up most of its defenses under NAFTA. Farmers are paying a high price. Agriculture, especially agricultural subsidies and dumping: Massive subsidies by the United States, Japan and the European Union continue to depress global agricultural prices, undermining production in the global south. Access to essential medicines: Establishing conditions under which developing countries can reconcile meting public health needs with the strong system of intellectual property protections afforded under World Trade Organization rules. Special and Differential Treatment: Determining if developing countries will be afforded different treatment under some WTO rules. Wise’s full report, Agricultural Dumping Under NAFTA is available online. Blogging at Triple Crisis, Kevin Gallagher noted an interesting development in the “blame game” between the International Monetary Fund, the World Bank, the United Nations, and the World Trade Organization regarding the causes of the global financial crisis last year. 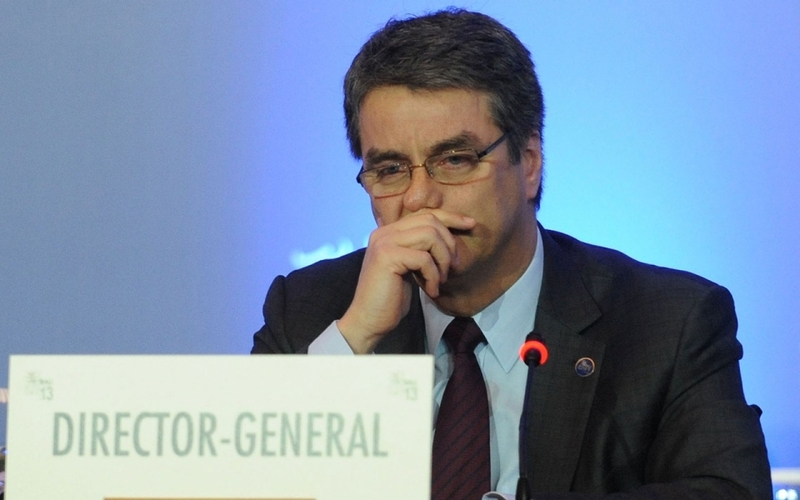 As Gallagher notes, the World Trade Organization held its much anticipated session on the WTO and the financial crisis last week, claiming that the WTO played no negative role in the crisis. The debate centers on the role of financial controls and capital account liberalization in the broader liberalization process. While the International Monetary Fund increasingly recognizes the importance of capital controls in preventing financial crises, the World Trade Organization continues to maintain that the imposition of capital controls may be “actionable” under the General Agreement on Trade in Services. 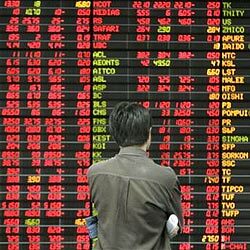 In other words, even as the IMF acknowledges that imposing limits on the ability of speculative investors to move in and out of particular economies may provide an avenue for governments to limit the negative impact of such speculative investment on their national economies, the World Trade Organization’s rules make such restrictions a punishable offense. The recognition of the importance of capital controls is not new. Joseph Stiglitz made a similar argument following the 1997 Asian financial crisis, arguing that the IMF ignored the importance of sequencing liberalization to avoid economic crises in developing economies. But there are two important take-away points here. First, the fact that the IMF—the former bastion of unrestricted liberalization—now recognizes that liberalization must be paced represents an important development in the international economy. Indeed, as a February 2010 IMF Staff Paper noted, controls on capital inflows “can usefully form part of the policy toolkit to address the economic or financial concerns surrounding sudden surges in capital.” Second, as Gallagher argues in his paper on the topic, capital account liberalization is not associated with economic growth in developing countries. In other words, at least among developing economies, there is little benefit but much risk in liberalizing financial flows. This is something that the government of Brazil recognized early in the global financial crisis, when it imposed a two percent tax on capital inflows attempting to limit portfolio investment tin the county.